The sauna has been part of Finnish culture for over 2,000 years. Today, the country of seven million people has at least two million saunas. 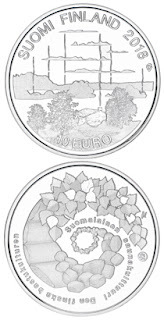 In these circumstances, it was inevitable that the sauna would provide a subject for the current series of coins celebrating aspects of Finland’s culture. The latest 28.50 mm, 10 g, .500 fine silver 10-euro and 38.60 mm, 25.5 g, .925 fine silver 20-euro proofs do just that. Mintages are 8,000 and 4,000,respectively. 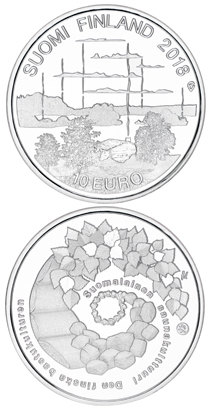 The “Sauna Culture” commemorative coin is the first Finnish commemorative to be created in collaboration with the public. Everyone in the country had the opportunity to influence the coin’s design via a national competition. The final result is the work of Mari Metso and Erkki Vainio. By decree of Finland’s Ministry of Finance, the two versions of the coin were launched on June 8, the eve of Finnish Sauna Day.